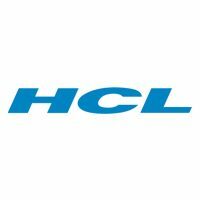 PennsylvAsia: HCL Technologies hiring Bilingual Japanese Product Analyst for position onsite at Google. HCL Technologies hiring Bilingual Japanese Product Analyst for position onsite at Google. Billingual Japanese Product Identity Analyst is a full-time job through HCL America, Inc. onsite at Google Pittsburgh. This position requires entrepreneurial drive to contribute to the long-term growth of online shopping by performing in-depth research, analyzing product specification data, using highly technical internal tools and processes to manage and enhance a large repository of knowledge about products. It is part of a fast-paced environment, partnering closely with operations and engineering teams. ● Quickly learn and build expertise in new processes and technical applications, including proprietary, simplified programming and configuration languages. ● Build expertise on a wide variety of products through thorough research and analysis of data from multiple channels. Identify and correct problems in the knowledge repository, and use a variety of configuration tools to improve the presentation of product data. ● Use editorial skills to organize information, write, and publish high-quality online content, according to requirements regarding order, clarity, conciseness, style, and terminology. Edit, standardize, and suggest changes to materials prepared by others. • A Bachelor’s degree preferred with a strong academic record. Masters degree a plus. background in Computer Science or Programming a plus. • Relevant degree or 2-3 years of relevant experience, such as technical writing, product documentation, information management, or market research. • Strong computer and Internet skills and natural comfort with technology. Ability to learn technical processes quickly and thoroughly. • Intellectual curiosity, along with excellent research, fact-finding, analytical, and independent problem solving skills. • Strong written communication skills with experience and a keen editorial sense for creating high quality, customer-facing materials. • Action-oriented, efficient, highly organized, and detail-oriented with demonstrated ability to drive multiple projects to completion and deliver high-quality results on tight deadlines with minimum guidance. • Adaptable, flexible, and capable of working both independently and with teams in a dynamic, fast-paced environment. • Experience with online shopping. Artist Candy Chang in Pittsburgh, May 10. Visa Info Mini Fair, April 27 at Pitt. New Korean restaurant Soju now open in Garfield. Author+illustrator MariNaomi at Pitt, April 7.